Hello fellow adventurers, my name is Jess. I am a born and raised Iowa farm girl, who truly fell in love with nature and the great outdoors at a young age. Whether it was running around on the farm all day “exploring”, catching the beautiful countryside sunsets, star-gazing on the roof (sorry mom), or camping on the Mississippi — being outdoors was my “happy place”, even as a kid. Today, this love of the outdoors has developed into so much more because I get to share this love and appreciation with my family: an adventure-loving husband and 2 children. My passion in life is to teach and inspire others to be the best version of themselves. 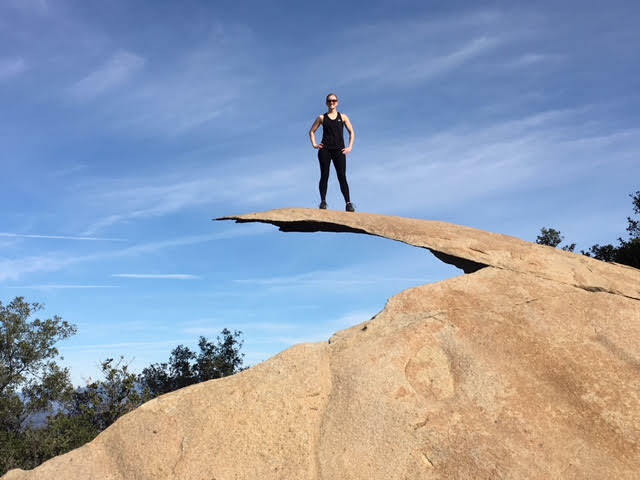 As a mother, wife, dietitian, marathon runner (soon to be Ultra runner), hiker, traveler, and National Park lover; I hope to show others that they too can live their best lives….today! Not tomorrow, next week or next year, but TODAY! Setting goals, getting outdoors and exploring is a great place to start. When I am not helping others reach their nutrition and wellness goals you can find me out for a long run on the local trails or maybe on a local “family adventure” at a state park (or planning our next big challenge and adventure!). Our ultimate family goal is to not only visit, but truly experience all of the national parks, and all of the Iowa State Parks. Although the outdoors is amazing, it can be very unforgiving. Having the right gear can really “make or break” your overall experience. Whether it’s running on a muddy trail, shielding your body from wind and rain, or thru-hiking – proper gear is crucial. I love helping others find the right gear for the right adventure! I am excited to partner with Active Endeavors — not only for the opportunity to share my passion for the outdoors with you, but to help inspire you to plan your adventure!